My runabout 07 grande has flashed the glow symbol since I bought it. The car is noticably smoother driving once warm.. so suspect the plug is causing the cylinder to run cool for a while. I plan to remove 1 power lead at a time..
Just like HT sparkplug leads.. seeing which cylinder is uneffected. Only changing that 1 suspect plug. Last edited by varesecrazy; 31-12-2018 at 12:42. Instead of trial and error use a multimeter and check the resistance of each of the flow plugs. Better still is to use a decent current meter capable of measuring over 10Amps and measure the current into each plug. With regards to removal then yes soaking with releasing agent is good. Another trick is to use an air ratchet wrench. These wrenches are low torque and just vibrate away and are brilliant for shaking loose otherwise stuck nuts, bolts, etc. Sadly I've never located a low power/torque electric equivalent so if you haven't got access to a controllable (air pressure/flow) compressor then it is not going to be of help. Far from conclusive with a meter.. So wanted to just remove 1 that has ZERO effect on cold starts. I did eventually find a good thread in the Panda section.. apparently this isnt such a bad design for things corroding in place. Although .. that was based on telatively young motors. Mine has seen 10 uk winters. Does'nt matter what you do, they either come out or snap off like carrots. All the people who think that soaking them and getting them warm helps would probably get the same result if they did'nt bother. The head will expand a little more than the glowplug, so they should theoretically come out more easily when the engine is hot. But that would be hot as in just turned off, not hot as in turned off 10 minutes ago. Do a few practices, of gaining access, removing stuff in the way, detaching cable, etc., and have spanner to remove handy. Then take for a good run to get as hot as it will ever be, stop and have it out as quick as you can. Careful with the burnt fingers. Alternatively, just attach a spanner and apply pressure. With your experience you shuold be able to feel if it is about to move or break. It is only the thread and taper seat that is tight. Should be some clearance along its shaft, and the carbon build up should not cause it to break. Apparently the taper seat doesnt tend to hold on too badly..
All this info from the panda section.. and words of wisdom / support..
Thankfully the plugs on the GP are pretty good for access. GUIDE.. will be built with this info. Last edited by varesecrazy; 02-01-2019 at 07:42. Good luck with it Charlie. It's not a job I've done often on modern engines with their longer plugs. It does make me feel stressed so I "feel" for you and hope it all goes well. It has taken me a few days to get the kit together.. Seeing the new plugs gave me the confidence to wriggle off the most accessible power lead. 7 more to play with.. I hadn't thought of using one to do this. I have a "standard" Clarke brand rattle gun which I bought years ago and use to slacken wheel nuts etc and a similar sized, but "humongously" powerful, CP job I bought just last year (CP7748) - takes axle nuts and crankshaft pulley bolts off without even having to unstake the locking tabs! Both totally overkill for a job like this. (the words snapped and carrot come to mind) Air ratchets were not common when I was earning my living on the tools but lately I've been looking for an excuse to buy one. Still can't really justify it for what I do these days, but this gives me another reason to convince myself I need one. so thanks! Sorry, forgot to tick the "quote box". I was commenting here on the second post on this thread by S130. Strangely... youve just reminded me. Doing strut bearings was always a challenge.. so I now posess an 18v torque driver. Ive not considered it for this.. until now. I think I will still give it a gentle try with the spanners 1st. 18v impact gun? I think that will probably be a bit brutal Charlie? Like you, I think I'd be trying the spanners first. In fact, on reflection, I think I'd be too scared to put a power tool on something as small as this - although the jarring impact action might be beneficial? Do keep us informed as to how it goes won't you? Just a little word of caution. I can be easy to get confused with Rattle Gun, Impact Driver, Air Ratchet. Impact Drivers (often also called rattle guns) can develop huge amounts of torque, 200, 500, 1000 or more ft-lb depending on make and quality. 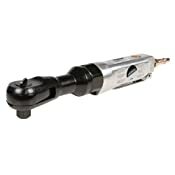 Air ratchet guns are all typically in the 20 to 50 ft-lb range. For those who don't have a low powered ratchet gun then there is another option. If you have a battery driven electric drill then most of these now have an adjustable torque setting for when it is used as an electric screwdriver. These are mostly mechanical release clutches that then rattle/jerk when the clutch releases and then re-engages. The higher the torque setting the larger the jerking. These can be effectively used to undo more delicate but seized items. My2017 1.3 Multijet Tipo is doing the same. Cold starts and the engine sounds a bit rusty for about a minute or two, then it purrs. I'm thinking of changing the glow plugs myself but, wait for it....I can't find them . Loathed to take to a garage as I'm afraid of the cost, especially since the plugs themselves are only a tenner each. After reading this thread I'm not sure about even doing them myself...I once had a bad experience with my first diesel car (Peugeot 407 1.6hdi) when I took it to a main dealer and I got the "it'sh your glow plugsh shir"...£350 in 2007! Needless to say I didn't pay it and never changed them. There were fine.